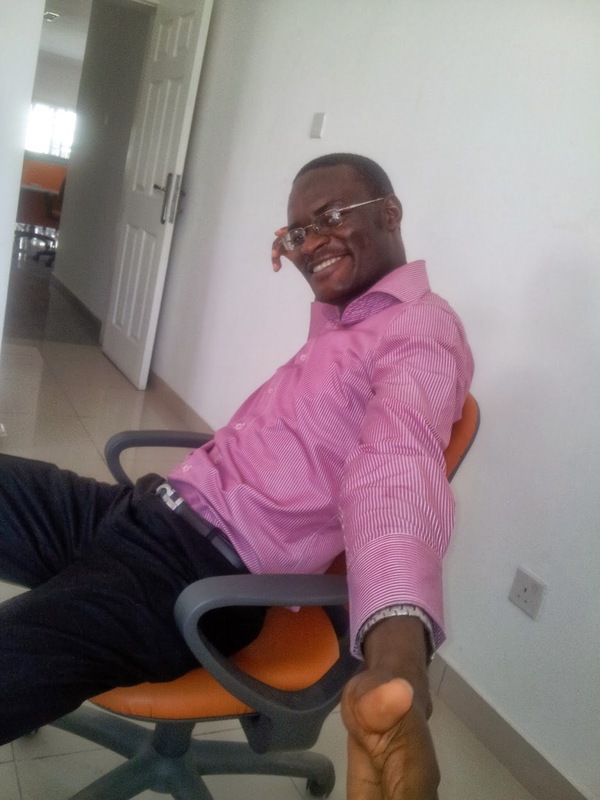 So yesterday I stumbled on an article on Forbes by Dr Travis Bradberry on personality type. He was saying that there is a new personality type besides introverts and extroverts, called ambiverts. To me, that is for his pocket. You are either an introvert or an extrovert. But he mentioned something I found very interesting -- the real reason you are either an introvert or extrovert. 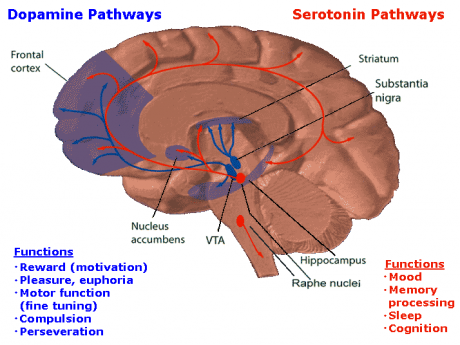 Psychologists, since the 1960s, have been able to trace the personality split to a part of our brain that produces dopamine. They found out that right from birth we are configured differently to respond to increase in dopamine level. Dopamine is one of the feel good chemicals our brain produces when we are doing the things we enjoy. It is what makes us feel motivated, energized and very happy. It is produced when we eat or are doing our favorite activities. 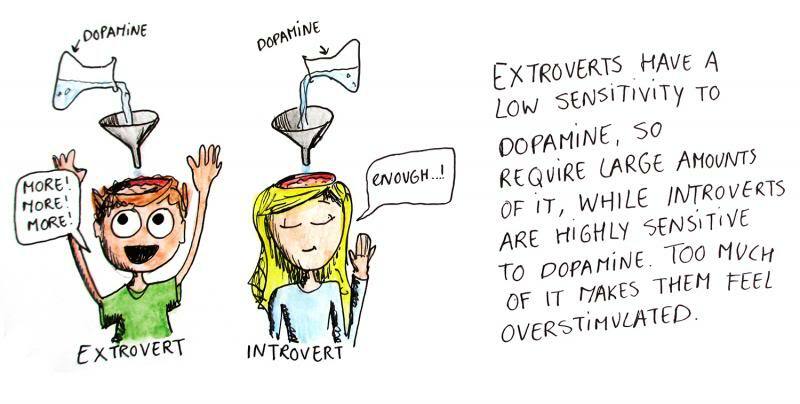 So these psychologists, after doing brain mapping and monitoring on real people, found out that introverts are very sensitive to dopamine level increase because they already have it in good enough amount while extroverts are constantly seeking an increase in their dopamine level because the base amount they have is low. The result is that introverts can feel motivated, happy and energized without needing to go to parties or do all those things extroverts need to do to feel energized. While an introvert can be by herself without feeling bored or demotivated, an extrovert is easily bored in an activity-less environment and must seek out external stimulation to feel motivated. An extrovert will rather be in a noisy environment than be bored to death in her own room while an introvert will rather be in her own room than be drained out with headache in a noisy environment. Due to the high base level of dopamine an introvert has, her brain is constantly switched on and working hard. Every extra stimulation from the outside world adds to her brain workload and she works hard to either filter them out or process them. It becomes very easy to overload her brain. So when she goes to a party and there are so many things happening at once and seeking her attention, she feels exhausted. But the extrovert on the other hand feels bored and gets energized from lots of external stimulation. She comes back from a party feeling refueled. And can't wait to go for the next one. And the very interesting thing the psychologists found is that you can know if a 4 months old baby is an extrovert or introvert. Shake a noisy toy in front of it, the introvert will start crying almost immediately because of the over stimulation. The extrovert might even be smiling and wanting to hold the toy. I have been reading your posts for sometime now.This particular article is quite instructive.Although i have read a lot about temperaments,i have never heard of dopamine-the reason for being an introvert or extrovert.Thanks for sharing this. 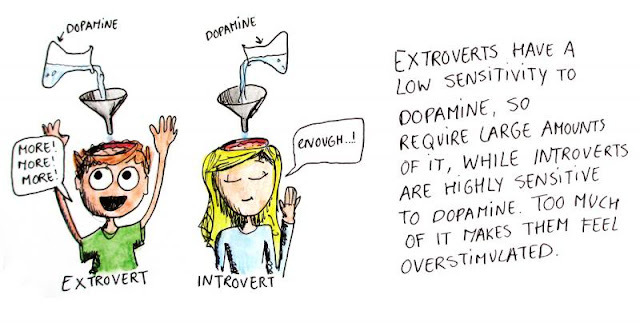 Same for me too -- never heard of dopamine being the cause of the introversion/extraversion till I came across that Travis' article. Glad you find my blog posts interesting.